- International Quality Ink made from latest Technology to give smooth smudge free writing. - Tungsten carbide tip gives high Resistance to Corrosion, Great Strength and high conductivity. 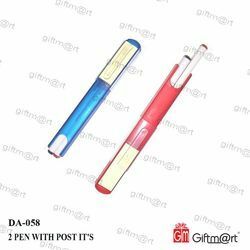 Being one of the most well-liked manufacturers and exporters of the industry, we are extremely engaged in manufacturing a broad range of Designer Pen to the clients. These products are manufactured using the latest and advanced technology. Our customers can avail them from us at market reasonably priced. We are offering Sheaffer Pen With Clock to our clients with high-quality range. Specialized as a reliable organization, we are offering a wide range of Ball Pens. To meet the demands of customers, we are offering these pens in different colors at market leading prices.